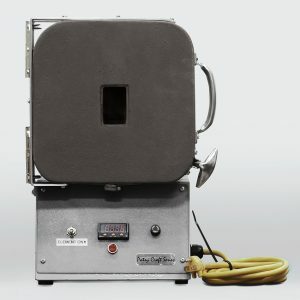 Enameling Kiln Model #55F-IP for sale – made in the USA! 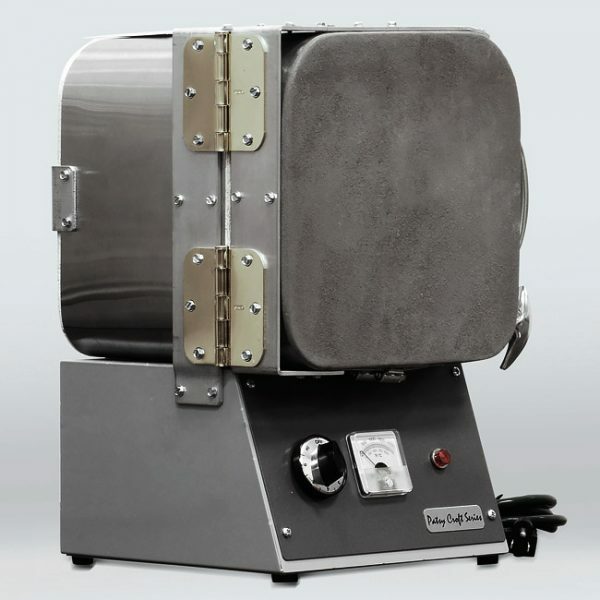 Best jewelers analog kilns – affordable kilns made by Patsy Croft. 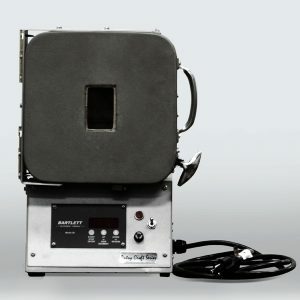 Check out this portable kiln’s specifications – Built-in Analog Pyrometer, fires quickly to enameling temperature. Heats to 1500 degrees in 5 minutes! Please read the operating instructions before ordering. My jewelry kilns are handcrafted and designed for use in all media. This kiln will help you create breathtaking jewelry or small keepsakes. Remember as you dream of your main piece of equipment to create your jewels, all my kilns are hand made at the time of order. This means any customization is possible! This is your Jewelry Kiln. 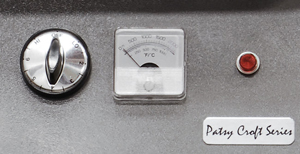 My Enameling Kilns hold temperature beautifully. Like any analog kiln, you have to find your sweet spot for firing. I am happy with a startup on high, then when reaching 1200 degrees I will turn it down to 3 on the dial. and be able to hold at 1400. Of course the temp. drops when opening and closing the door as any kiln would and within a minute it has regained temperature. As the day goes on the fire bricks become soaked, this means the fire bricks have absorbed the heat and hold it well. You may need to turn your down a few degrees in the afternoon. This my analogy kiln meaning you do need to monitor it. They are the best, quality built, small kiln and get the job done quickly! 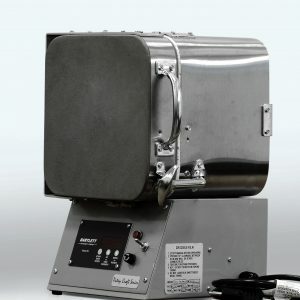 The most affordable small jewelry kiln for sale here.